After touring downtown Los Angeles a few weeks ago, I was curious to try out street photography. Street photography is a National Geographic-type candid photography of people in public places like concerts and downtown areas. 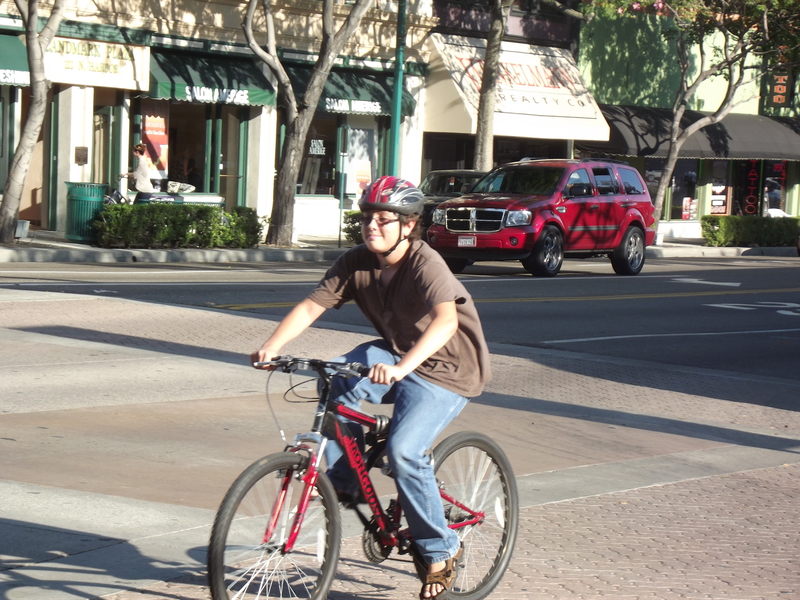 I went to downtown Fullerton in Southern California on a hot late-afternoon (around Chapman and Harbor). It has a pretty vibrant night life but it was not that busy when I was there. Here is a few of my shots. I realized it’s a lot harder than it looks! You also need a fast camera to snap pictures quickly without people thinking your’e a stalker (one guy noticed he was on camera and waved). 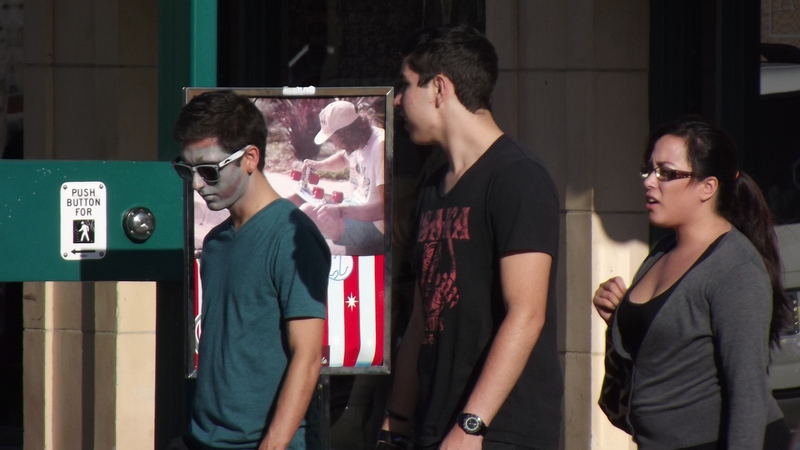 I can’t figure out why the guy on the left has his face painted gray and red. 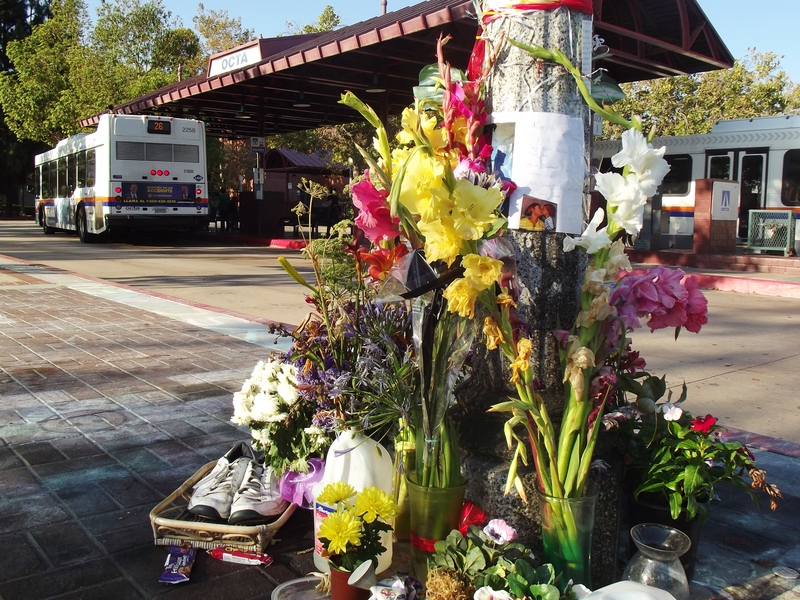 Kelly Thomas memorial with a bus in the background. I do want to try out more street photography, it would be better in Los Angeles where there are a variety of different people. Any suggestions to take better street photography pictures?